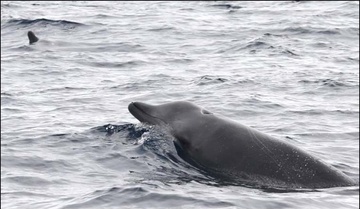 This summer, researchers from the Northeast Fisheries Science Center and their colleagues surveyed the waters south of Cape Cod along the continental shelf and farther offshore looking for True’s beaked whales, an elusive deep-diving species. Their successful observations, and the first-ever True’s beaked whale tagging, will lay the groundwork for our understanding of the species. Species Recovery Grants to Tribes. These grants support high-priority recovery actions for threatened and endangered species. Applications for FY 2019 grants are now being accepted through October 30 (for Tribes) and November 1 (for States). 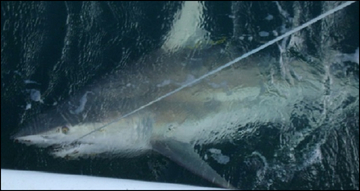 By October 11, please submit your comments on proposed quota levels, opening dates, and retention limits for the 2019 Atlantic commercial shark fisheries. The proposed rule uses landings data received as of July 13, but the final rule will incorporate updated data received as of October. Highly migratory species fishermen using the HMS Mobile App to report their Atlantic tuna, billfish, and swordfish catch should download the latest version (version 2.0.1) if they have not already done so. This version fixes a bug related to bluefin tag number reporting. NOAA Fisheries developed an interim guidance document to direct recovery efforts for the oceanic whitetip shark until a full recovery plan is developed. This recovery outline presents a preliminary strategy and priority actions for recovering the species. A team of NOAA Fisheries scientists has received recognition for developing the nation’s first framework to assess the climate vulnerability of marine mammals to help coastal managers, researchers, and others safeguard these animals in a changing world. Read more about the Climate Adaptation Leadership Awards, sponsored by the Association of Fish and Wildlife Agencies and other partners. Sea Grant, a partnership between NOAA and 33 university-based programs across the country, is a natural partner for many of NOAA’s Habitat Focus Areas. Take a look at their collaborations supporting habitat restoration and education at the Penobscot River, the Choptank River, the Russian River, Biscayne Bay, and Western Hawaii. A new report by social scientists at NOAA Fisheries provides the results of our first National Ocean Recreation Expenditure Survey. 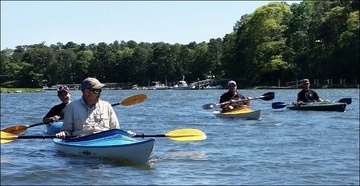 The survey found that in 2012 nearly 49 million adults participated in ocean and coastal recreation nationwide, spending more than $141 billion in related goods and services. 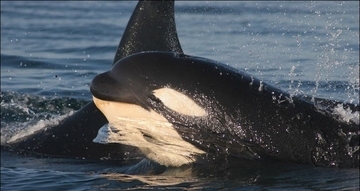 Orca J50’s poor condition in recent weeks has underscored the urgency of recovering the endangered Southern Resident killer whale population. NOAA Fisheries wants to know what people in the region think about our response efforts and potential steps, and we invite the public to meetings this weekend in Friday Harbor and Seattle, September 15 and 16. 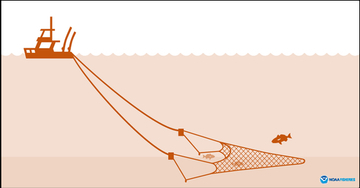 By October 9, please submit your comments on a proposal to eliminate restrictions on groundfish bottom and midwater trawl gear for vessels fishing in the Pacific Coast Groundfish Fishery’s Trawl Rationalization Program. These revisions are possible because the program, first implemented in 2011, has achieved a substantial reduction in fish discards and the rebuilding of five previously overfished species. This month, NOAA Fisheries researchers will begin studying the nighttime behavior of Southern Resident killer whales to better understand how much time they spend foraging and their use of sound. 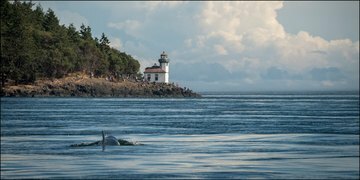 The research will inform policies that might better protect the whales from vessel noise, which can disrupt their use of echolocation. False killer whales are naturally rare within their range, and for the endangered insular population in the main Hawaiian Islands it can be particularly challenging to locate the animals to monitor their population size. 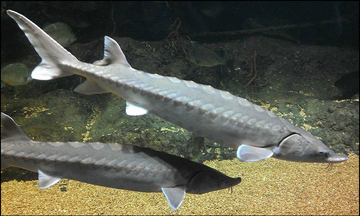 A recently published study highlights NOAA Fisheries’ collaboration with a nonprofit organization and citizen scientists to estimate the size of this endangered population using photo-identification. 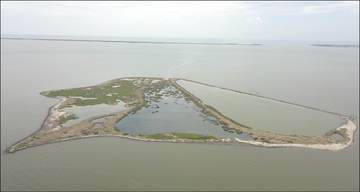 Queen Bess Island was key to the reintroduction of the brown pelican, Louisiana’s state bird, in the 1970s. But both the island and its pelican population were badly injured in the Deepwater Horizon oil spill. Now, the Louisiana Trustee Implementation Group’s first post-settlement restoration plan includes funds to evaluate options for restoring Queen Bess Island. 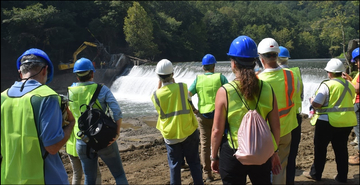 More than a decade in the making, the removal of the Bloede Dam on Maryland’s Patapsco River is one of the largest and most complicated in NOAA’s history. When it is completed, river herring, shad, American eel, and other migratory species will have access to a free-flowing natural river for the first time in a century. 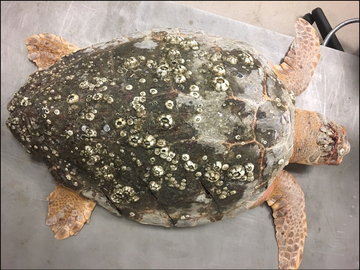 NOAA’s Office of Law Enforcement seeks information related to an injured loggerhead sea turtle found along southern Core Sound near Smyrna, North Carolina. The turtle sustained what appeared to be a deliberate head injury, and ultimately veterinarians had to euthanize it. The carcass of a young North Atlantic right whale was reported floating off Martha’s Vineyard in late August. 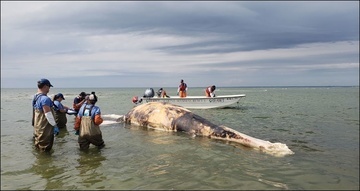 Results from a recent necropsy suggest that the whale likely died as a result of entanglement in fishing gear and drowning. This is the second North Atlantic right whale mortality confirmed this year, from a population of only about 450 animals. If you would like to provide at-sea monitoring services to groundfish sectors in fishing years 2019 and 2020, please submit your application by October 1. Final decisions will be published in the Federal Register in November. The Mid-Atlantic Fishery Management Council seeks a highly qualified contractor to document the distributions of surfclams in the nearshore waters of the U.S. Northwest Atlantic. Proposals are due October 31. In 2018, the Greater Atlantic Regional Fisheries Office took on eight summer interns through three different programs: the Woods Hole Partnership Education Program, the Hollings Undergraduate Scholarship Program, and the Pathways Program. The interns worked for 8 to 10 weeks on a variety of marine science and education projects. Second annual Belugas Count! citizen science event at 14 locations around Cook Inlet, Alaska. International Coastal Cleanup, supported by NOAA Marine Debris Program, at shores around the nation. Two public meetings in Friday Harbor, Washington, and Seattle, to collect input on NOAA Fisheries’ response to ailing Southern Resident killer whale J50. Free Protected Species Safe Handling, Identification, and Release workshop in Warwick, Rhode Island. Nine public hearings for the Summer Flounder Commercial Issues Amendment, hosted by the Mid-Atlantic Fishery Management Council. Free Atlantic Shark Identification workshop in Panama City Beach, Florida. Public hearing webinar on Draft Addendum V to the Atlantic Coastal Sharks Interstate Fishery Management Plan, hosted by the Atlantic States Marine Fisheries Commission. (Rescheduled) South Atlantic Fishery Management Council meeting in Charleston, South Carolina. Two free Protected Species Safe Handling, Identification, and Release workshops in New Jersey and Florida. North Pacific Fishery Management Council meeting in Anchorage. Mid-Atlantic Fishery Management Council meeting in Cape May, New Jersey. Top NOAA leaders will conduct public conferences around the nation about the Department of Commerce 2018–2022 Strategic Plan. Free Atlantic Shark Identification workshop in Mount Pleasant, South Carolina. Gulf of Mexico Fishery Management Council meeting in Mobile, Alabama. Western Pacific Fishery Management Council meeting in Saipan, Commonwealth of the Northern Mariana Islands. Western Pacific Fishery Management Council meeting in Tumon, Guam. United States–Japan Natural Resources Panel on Aquaculture Scientific Symposium in Mystic, Connecticut. Abstracts due for the United States–Japan Natural Resources Panel on Aquaculture Scientific Symposium. 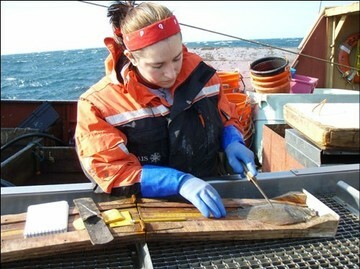 Proposals due for the 2019–2021 Atlantic Herring Research Set-Aside Program. Proposals due for the 2019–2020 Atlantic Sea Scallop Research Set-Aside Program. Nominations due for advisors to the U.S. Section to the International Commission for the Conservation of Atlantic Tunas (ICCAT). Applications due for groundfish sector at-sea monitor providers for fishing years 2019 and 2020. Applications due for 2019 Species Recovery Grants to Tribes. 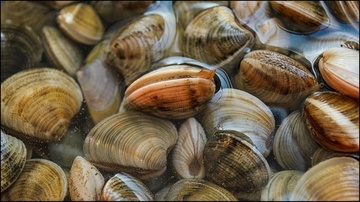 Proposals due for funding to document the distribution of surfclams in the U.S. Northwest Atlantic. Applications due for 2019 Species Recovery Grants to States. Visit regulations.gov for a list of only those actions open for public comment. Scroll search for National Oceanic and Atmospheric Administration. For a list of all daily actions, check the Federal Register online. Corrections or technical questions should be sent to the FishNews Editor at editor.fishnews@noaa.gov.